I talk to Luis Mario Ochoa about his musical passions, the creative process and finding inspiration. After graduating from the Instituto Superior De Arte in Cuba in 1987, Ochoa came to Canada. He started his first band soon after that combined his classical training with the experiences he’d had doing Latin jazz jams while he was in Cuba. 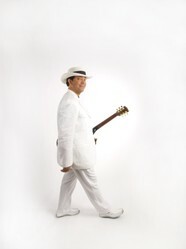 To learn more about Luis Mario Ochoa and his musical projects, please visit his website here. This profile is based on an interview with Luis Mario Ochoa conducted and recorded on May 27, 2016. Very interesting indepth article. Keep them coming.